An engaged couple from the Hevron region was slapped with a stop-work order after trying to fix up their caravan. A young engaged couple from Hevron was unable to find an apartment in their hometown, where there is a years-long waiting list for housing. Instead, the couple found a caravan in the nearby community of Carmei Tzur and began doing repair work in preparation for the day when they plan to move in. 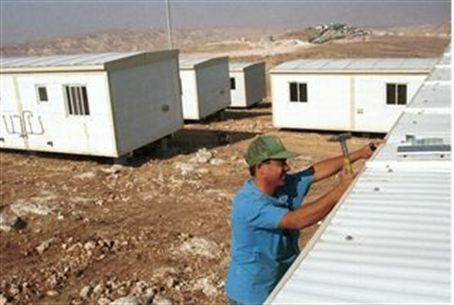 They then received an unpleasant surprise: a stop-work order from the IDF Civil Administration, ordering them to cease repairs to the mobile home. With the wedding just two weeks away, the couple will apparently move in to the caravan as is, with repair work half complete. The Civil Administration has yet to respond to a request for clarification.